Glorious Himalaya Trekking is a pioneer adventure holidays tour operator having more than the decade of extensive experiences in Himalayan activities over Nepal and autonomous Tibet region. We make arrangements for TRULY SPECIAL HOLIDAYS. Creating a special holiday makes us more than happy. Since our inception, we have stayed true to our core missions, such as trekking, hiking, climbing, rafting, and other tourism activities. In addition to this, we also have all Inclusive holidays, customized holidays, short treks, long treks and plenty of adventure activities to suit your tastes, wishes, needs, requirements, and budgets. You name it, you have it. Fully governed, licensed and registered, Glorious Himalaya Trekking guarantees that both your holiday and money are safe. This is the reason, why we are the most trusted trekking agency of Nepal. With this humble beginning, we have been providing a quality service, and there aren’t any places that we have not visited in Nepal. WHY BOOK WITH US - 100% locally owned and legally registered trekking company under the Nepal government. - Decade of extensive experiences in the field of trekking, climbing and tour. - We use well experienced local guides certified by the Nepal government. - All our guide and porters are well equipped and has accidental and medical insurance. - Instant response and 24 hours at your service. - We offer tailor made holidays itineraries and have attractive offer policies. Travelling from kathmandu to pokhara or vice versa will be better if to use private bus instead of bus. The bus condition was not comfortable. About Glorious Himalaya Trekking Pvt. Ltd.
Popular for Glorious Himalaya Trekking Pvt. Ltd. Compare Glorious Himalaya Trekking Pvt. Ltd.
Glorious Himalaya Trekking Pvt. Ltd. vs Explore! 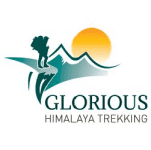 Glorious Himalaya Trekking Pvt. Ltd. vs Manakamana Treks & Expedition Pvt. Ltd.
Glorious Himalaya Trekking Pvt. Ltd. vs Himalayan Glacier Trekking Pvt. Ltd.